Not all inflatable loungers are good. If you have ever used one you’ll know what I am talking about. Some of them are of inferior quality while some of them don’t really offer that many features to keep you occupied and relaxed. But, this Motorized Inflatable Pool Lounger is one thing you would definitely want if you love spending time in the pool. It is a total relaxation solution for all your needs. 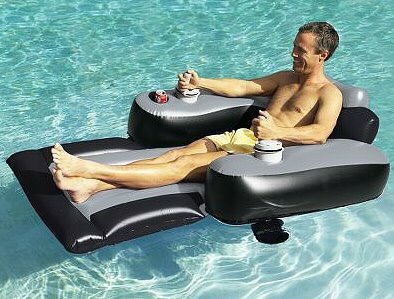 It is a motorized one so all you need to do is to direct the lounger to the spot you want, stop, and you’ll be there. Yup, think of it as a blend of lounger and a motorized boat. 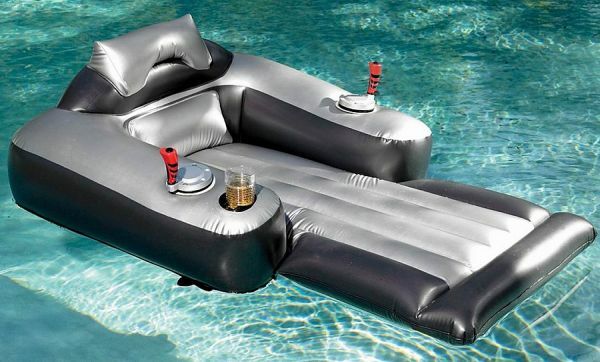 This one also comes with an on-board drink holder so you can keep your favorite beverages with you while you are floating with the lounger. Wouldn’t that be one exciting thing to have? 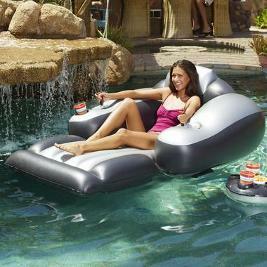 Basically, the Motorized Inflatable Pool Lounger is integrated with two motorized propellers which work independently. Both of these motorized propellers work through a left and a right joystick. Also, these motors don’t really make any sound so you don’t have to be worried about the noise. You can relax on your lounger and move it in any direction you want without any noise from the motors. These require 6 D-batteries in each. Once you fit the batteries, you can feel the power of these monsters. They are really powerful! – It comes with no sales tax. However, if you are a Florida resident you need to pay sales tax. – You will have to pay $10 for the shipping services. – Shipment of the Motorized Inflatable Pool Lounger will take around 5 days. – Also, international shipping is available for this piece. – You might need to make special orders if you want to go for Express Shipping. – The overall width of the lounger is 46 inches and length is around 64 inches. So, it’s quite big, even your kids can join you! Check out some more swimming accessories here: The Power Surf Board and The All Weather Pool Table.